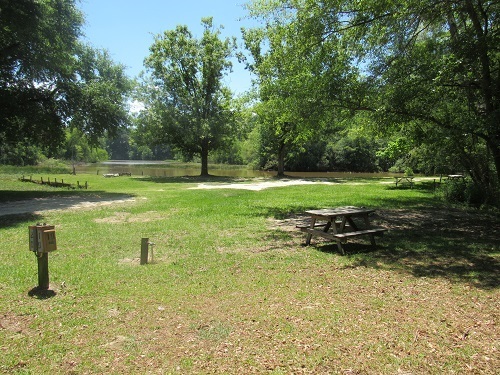 Located in Southeast Alabama, Lake Eufaula Campground is situated along Chewalla Creek near beautiful Lake Eufaula. Family and pet-friendly, this 46-acre campground offers a gorgeous rustic setting near fantastic outdoor recreation. 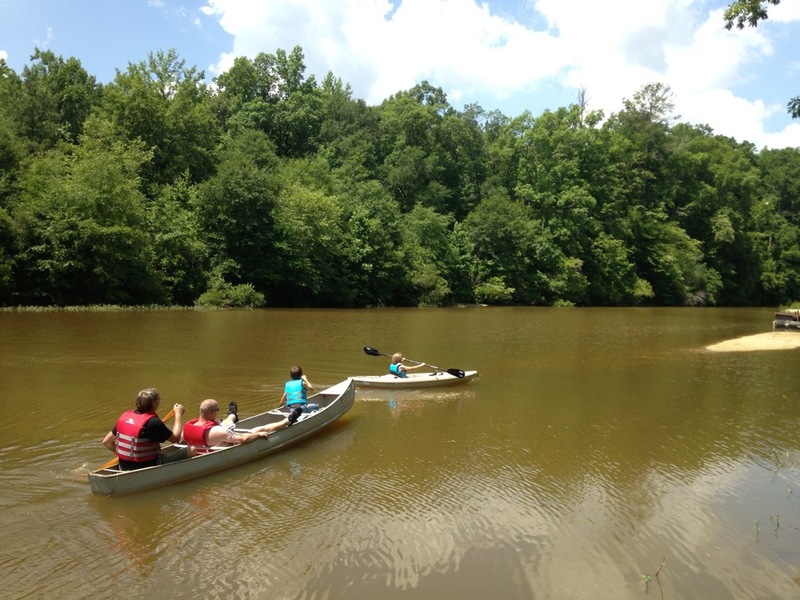 If you’re looking for a peaceful place to relax and get away from the distractions of everyday life, you won’t want to miss out on this Alabama campground. Guests have a variety of camping options at Lake Eufaula Campground. RV campers have their choice of shady full hookup sites, many of which are private and have views of the creek or the pool. If you’re bringing along a boat or towing a vehicle, many sites are long enough to accommodate your camper plus an additional vehicle. All RV sites include a fire pit and a picnic table. Tent campers can pitch their tent on Chewalla Creek and enjoy the beautiful water views or setup camp near the pool (perfect for the kids!). Some tent sites include electric and water, and all campsites feature a picnic table and fire pit. Don’t have your own tent? The campground offers an Army Tent with 4 cots, a fan, lighting, and a deck for a unique camping experience. Looking for something more comfortable? Lake Eufaula Campground rents out multiple cozy cabins for your camping pleasure. The Mini Cabins feature AC, sleeping accommodations for 6, TV, a small fridge, a coffee pot, and a microwave – campers in these cabins use the campground restrooms. 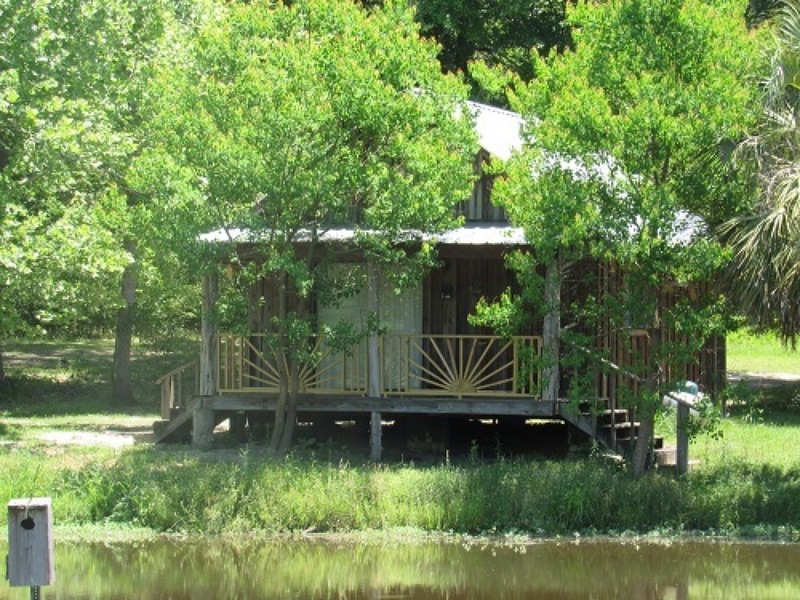 The Cypress Cabin overlooks 3 fishing ponds and includes a full kitchen, cable TV, full bathroom, AC, and a spacious deck. All guests have access to a boat launch, BBQ grills, convenience store, laundry facilities, a playground, a pool, restrooms, showers, and free WiFi. Lake Eufaula is well-known for its world class bass fishing and is a great place for the family to go boating, swimming, or just relax on the water. The campground rents kayaks and canoes, and guests can paddle up the Chewalla Creek to the lake. Don’t have your own boat? The campground has a pontoon boat for rent – the driver is provided so you can relax and enjoy a sunrise or sunset tour. The shady pool is perfect for a swim during the summer months, and the mini golf course is great for the whole family. If you’re hoping to explore the area, the Eufaula Hike and Bike Trail takes you to the main lake or to downtown. The campground rents bikes if you don’t have your own. If you love RC Racing, the park just opened a new RC Racing complex, including a new track and a pond that is great for RC boats. Hunting, golf, and historical home tours are also popular in Eufaula. If you are searching for a day trip, Providence Canyon State Park, located in Georgia, is a 30 minute drive from the campground. 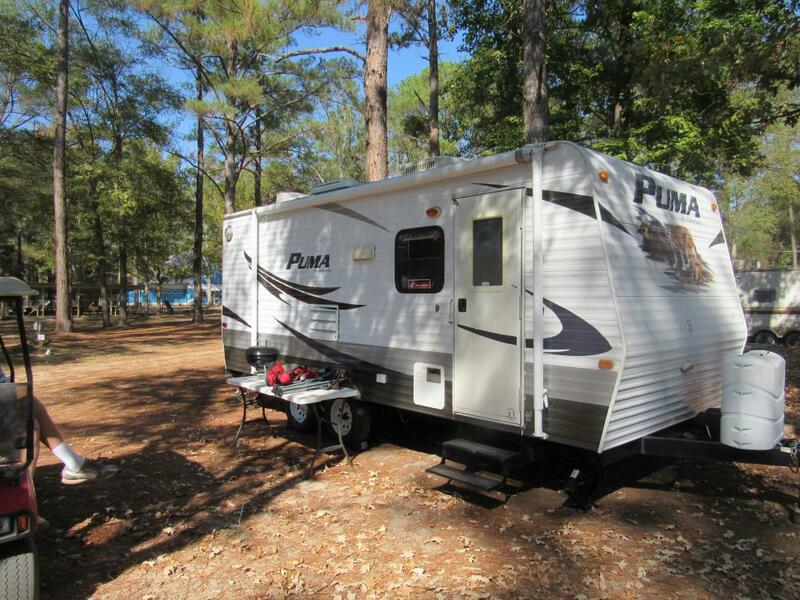 Ready to plan your southeast Alabama camping getaway? 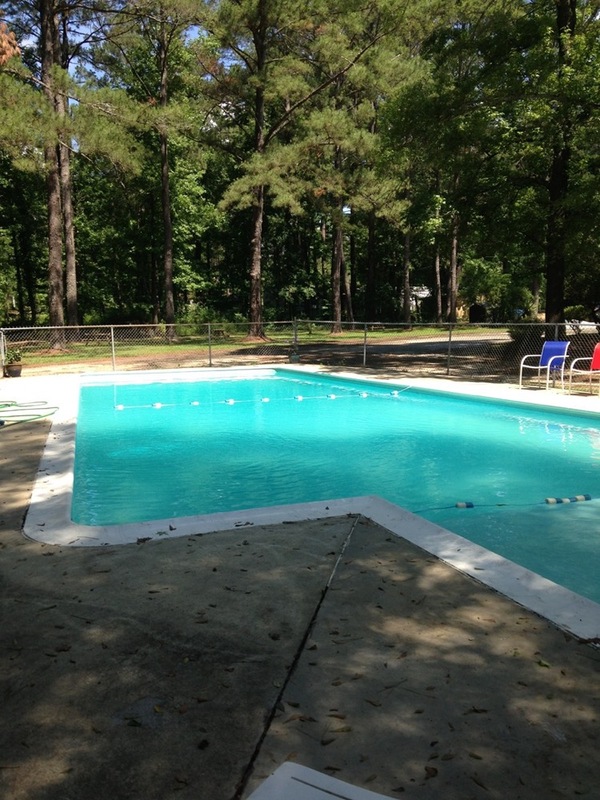 Get ready for fun on the water, great amenities, and awesome recreation at Lake Eufaula Campground. Book your stay today on Camp Native!